Leading Manufacturer of pp box strapping rolls from Bengaluru. 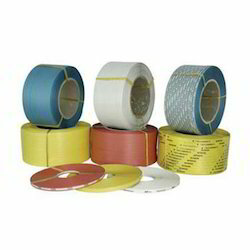 Owing to our expertise, we are engaged in manufacturing and supplying a wide assortment of PP Box Strapping Rolls. Offered strapping roll is suitable for all high production semi automatic power strapping machines. The synthetic polymer based material used in manufacturing of these straps, provides enhanced corrosion and chemical resistance. As well, our offered strapping roll can be availed at market leading rates within a given time frame. Looking for PP Box Strapping Rolls ?